The Thompson-Nicola Regional District board will stay out of a controversy over an application by Lafarge Canada to obtain a new air permit for the production of gypsum granules, at least for now. 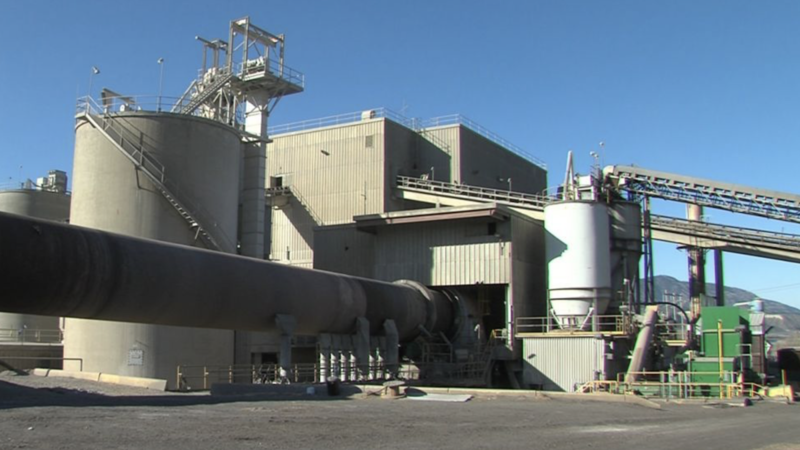 Lafarge shut down its cement kiln in 2016 and now wants to produce a mixture of gypsum powder, water and a binder agent, but residents near the South Thompson plant and in Pinantan have expressed concerns. Lee Morris and David Wieb of East Shuswap Road wrote to the TNRD board Thursday (March 29, 2018) opposing the application due to previous damage they say was done to homes and vehicles when the cement plant was in operation. They sought clarification on the composition of air emissions from the new proposal, as well as on containment measures, timelines and accountability. Another resident, Bonnie Tobler, said Lafarge operations “left corrosive staining and damage to the exterior of my home and windows” in the past, and she is concerned about possible health effects. The TNRD doesn’t have jurisdiction over Lafarge as it’s within the City of Kamloops due to a notch in the boundary that extends over the Lafarge Bridge and onto the north side of the South Thompson River, but has been informed of the proposal and could provide input. After considerable debate, the motion was defeated on a 13-13 tie. Tuesday, Kamloops City council turned down a suggestion from Coun. Denis Walsh by a 5-4 vote that council ask the Ministry of Environment for an “expert” opinion on possible effects on the airshed. Lafarge will hold a public information session at the South Thompson Inn next Thursday, April 5 from 4 to 6 p.m. The company said the TNRD would have an opportunity to review and comment on the air permit during a Ministry of Environment consultation program and that the government would be seeking input. The above article does not purport to be an objective news report. It is not written on behalf of the TNRD and any opinions are those of the author. Environment Canada maintains the NPRI (National Pollutant Release Inventory) database, which is relevant to the Lafarge discussion. Industries self-report emissions in various categories each year and the results are available to the public and can be searched in various ways. A few examples are given below of the emissions of PM2.5 (airborne particles with aerodynamic diameters less than 2.5 µm) fine particulates, as well as of the emissions of the somewhat larger PM10 (PM10 includes the smaller PM2.5 particles). I have chosen a recent year 2016 as well as a randomly chosen year in the past, 2010, to show the type of data available. In 2016 a total of 372 industries reported PM2.5 emissions in British Columbia. Highland Valley Copper was the highest of all emitters with 2618 tonnes. Domtar Kamloops was the 15th highest with 137 tonnes. Lafarge Kamloops was the 30th highest with 33 tonnes. In 2010 a total of 431 industries reported PM2.5 emissions in British Columbia. Highland Valley Copper was the highest of all emitters with 3558 tonnes. Domtar Kamloops was the second highest with 698 tonnes. Lafarge Kamloops was the 31st highest with 51 tonnes. In 2016 a total of 372 industries reported PM10 emissions in British Columbia. Highland Valley Copper was the second-largest with 6932 tonnes. Domtar Kamloops was the 14th highest with 320 tonnes. Lafarge Kamloops was the 31st highest with 76 tonnes. In 2010 a total of 394 industries reported PM10 emissions in British Columbia. Highland Valley Copper was the second-largest with 7193 tonnes. Domtar Kamloops was the 10th highest with 944 tonnes. Lafarge Kamloops was the 29th highest with 130 tonnes. It needs to be kept in mind that these are self-reported emissions from the industries. They are not measurements made by Environment Canada. They also are not airborne concentrations in the vicinity of the industries. It is possible that the British Columbia Ministry of the Environment has measurements of airborne concentrations of PM2.5 and PM10 in the vicinity of the Lafarge Kamloops plant for some specific study periods and a request could be made for those data to see if they exist.